Six plus Five equals Eleven plus Two... Thirteen our lucky number! Jim and Ann had Six while going through Medical School and think Greys Anatomy Plus Eleven (Residency and adopting 5 siblings from Foster Care) Surviving on a Shoestring... Grateful for Today and Our Many Blessings. Final cost 4 pouches for FREE + a $4 moneymaker! 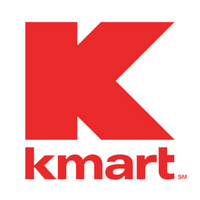 ***Don't forget to have your Kmart Reward card scanned to get 1% back on your purchases. I currently have over $6 on my card, I may just use it on this deal and pay nothing out of pocket. I never know what you can find at Walgreens on Clearance. Today's Find... 75% off lightbulbs. We stopped off at Walgreens and checked the clearance endcap. They must have clearanced the entire section of lightbulbs. We picked up these Feit Electric Ecobulb Plus Compact Fluorescent Light Bulb, Soft White, 75 W Regularly $4.99 for $1.25 each. I checked my coupon binder and found 3 GE mfg. coupons for $1.50 off Any GE Lightbulbs and Walgreens had 4-Packs for $.69. Here's how I used my coupons. 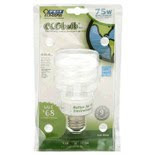 Buy 8 @ $.69 = $4.72/8 less 3--$1.50 coupon, Pay $.22 for 8--4 packs of GE lightbulbs. (When the coupon is over the price to not get it to beep buy another product of the same to cover the difference is a Walgreens trick I learned from a former cashier). Our Walgreens had many types of the Walgreens lightbulbs from $.50 to $1.00 for various types of lightbulbs including outside floodlights. Bathroom vanity lights were $.50 each and appliance bulbs were $.87 for a two-pack. We found rechargeable flashlights for $2.50 instead of $9.99 and a 3-pack of automatic nightlights for $2.50 down form $9.99. Titan Peeler $3.75? Does it work? The Tiny Titan will find out. 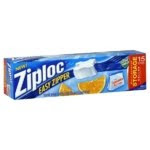 Hy-Vee-- Ziploc Easy Zipper Storage Bag Deal $1.00 for 2 and Get A $2.00 Hyvee Shopping Reward Catalina when you buy 3. (pix is missing a couple, found them in the car). I ran into Hy-Vee to pick up some 85% Lean Ground beef on their 3-day sale for $1.85 lb. I soon discovered Ziploc Easy Zipper Storage Bags on price cut for $1.00 a pack for both quart and gallon size bags. With my coupons still in the car I bought 4 and discovered a $2.00 catalina off my next shopping order printed. I ran out to the car and grabbed my 15 coupons, $1.00/2 and $.40/1. I split my order into differing transactions to roll the rewards. I kept rolling one Catalina and walked out of the store with 34 boxes of Ziploc bags for $7.00 and still have $12.00 in Hy-Vee Catalina Shopping Order Rewards for next weeks shopping trip. I am so glad that I had ordered 10 extra Ziploc coupons from The Coupon Clippers two weeks ago. 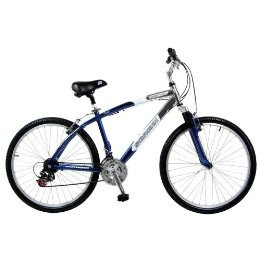 We scored this Women's Schwinn Jaguar Cruiser Bike..
We were heading to Dubuque and coupon shopping at Target. 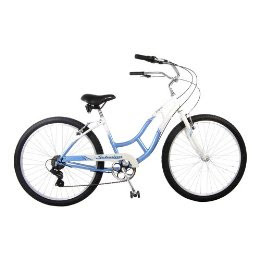 I took a quick check of the newest posts at A Full Cup while the girls were getting ready and discovered that several models of Schwinn Adult Bikes were just being marked down to 75% off. I have never seen Detamara in such a hurry to go anywhere. With a 35 mile trip and it being already 10:00 I was not sure they would have any left...and if our Target would have any... Detamara said a prayer for the bike she had eyeing all year and God answered...A New Bike and she has to work to earn the money to buy it from me. Thank you Common Sense with Money for this deal! Regular $189.99 on clearance for $94.44. While frequenting the land the Targets, I lucked out. The Targets I hit were in the process of marking down the Baby Gear. I will admit that I hit 6 stores and skipped many! With Nate and Stacey in tow and a new baby due in April we had fun :) I talked to Nate tonight and when Stacey was updating their Target Baby Registry, it told them that they do not have enough high price items on their list left! We knocked most of them off from my clearance shopping and the last two days of shopping. 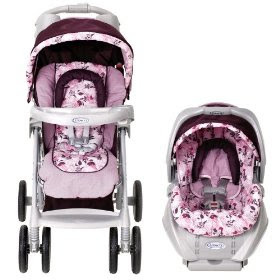 We found the Graco Alano Stroller Carseat set for $94.44 ($189.99 at some stores), Graco Snugride Car Seat $44.98, Graco Pooh Portacribs and Swings, Several kinds of Exersaucers, Graco High Chairs, Car Seats and Double Strollers were all 50% off. Some Fisher Price Bouncy seats many were 50% to 75% off! Baby receiving blankets, crib bedding, baby carriers, misc. baby stuff 75% pacifiers, sleep holders, bottle warmers, and portable changing pads, Infant and Toddler winter gear...jackets, snowpants, and a lot of hat and mitten sets for 75% off. Gerber Blanket Sleepers $1.48 for 2 pack after Target coupon. Child of Mine (Carter) 2 piece thermal toddler pjs and Child of Mine (Carter) One Piece Thermal Pajamas are 50% off priced at $3.48 a set. We made a haul stocking up on pajamas for next year for the little ones of the family. I will not be posting any deals until later in the week. I am up in the land of Targets visiting my kids. The only phrase that explains "I am a kid in the candy store", but multiple stores all at once. First mission...Check out Super Target (which would have only been two blocks from our house here 12 years ago). Third mission...Hit Mill End Fabrics (I know my kids are gagging, but I haven't had a chance to go for over two years. Tomorrow I will do my coupon shopping at Target before I head home. Today is a day off just checking out clearance. I am wasting time, shopping awaits! Starting Monday Piggly Wiggle will start a catalina promotion on Pillsbury products. Buy 4 Pillsbury products and get a coupon for $2 off your next order, buy 5 get a coupon for $3 off, buy 6 get a coupon for $4 off. Please note the Pillsbury deal is good only Monday and Tuesday as those are the only two days the catalina promotion and sale price coincide. Pay $3 plus tax out of pocket and get a catalina coupon for $2.50 off your next order. I had matched my coupons to the Pigs ad, but had not gone yet... I had planned on stocking up on Fruit Snacks..Becca's little babysitting charge loves these. 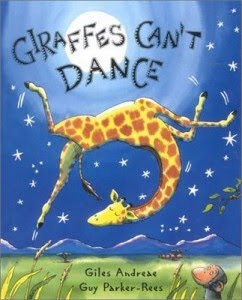 Also I had just read at A full cup that some have had success in freezing the cans of Pillsbury Grands without popping! I just may have to try at $.50 each or free on the second or third time through (girls you may be heading to the Pig to help Mom shop). This is how I will do my shopping. Transactions #2 and on (We just keep passing the Rewards Back to the next family member). I will also walk out with a $4.00 and $2.50 Shopping Order Reward for Next Weeks Pig Run! There’s a new Target store printable coupon available on their website: Save $3 off one 40ct or larger Huggies Pure & Natural diapers. Look under Baby to locate this coupon. Combine this Target store coupon with the printable coupon currently available on Coupons.com: Save $2.50 off one pack Huggies Pure & Natural to save $5.50 per pack. 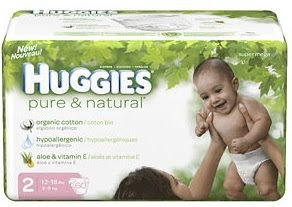 I have $3.00 Huggies Coupons for Pure and Natural from my Huggies Mailer and will save $6.00 off a pack for the upcoming new grandbaby. Thank you to Deal Seeking Mom and Common Sense with Money for finding the Target coupon! 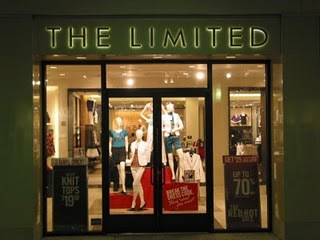 The Limited a new coupon available here, valid through February 3rd, 2010. Thank you to Hip2save for some frugal shopping fun. This coupon is good for $15 off any in-store purchase of $15 or more (exclusions apply) or spend $100 and get $30 off or spend $150 and get $50 off! The coupon cannot be used on mark-down items, but with summer things on the shelves I am sure I will find something for around $15. Stacey and Katie print off your coupons so we can hit the mall on Monday night! What other really good coupons can we find to use while we are in town? Create your profile to sign up to receive the Betty Crocker®, Dinner Made Easy, or Bisquick® email newsletter, access exclusive member benefits on BettyCrocker.com, and receive a FREE* booklet packed with $10 in coupon savings! 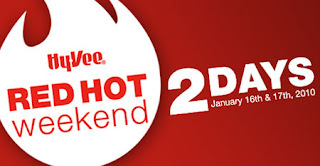 *** Free 2010 Betty Crocker coupon booklet quantities are limited so please sign up quickly. Offer available to new Betty Crocker®, Dinner Made Easy or Bisquick® email subscribers only. Limit one sample per household. All fields required. You must be 18 years of age or older to receive this coupon booklet. Offer limited to the United States and expires 3/1/2010. Please allow 6-8 weeks for delivery. Reminder: It's time to redeem those Gymbucks thru January 24! I had used 3 already for $150 off, but now found one more stray for $25. Check out your Family Fun and other magazines for a coupon for 20% off for a later purchase through 2-28-2010. Gymboree will not let you combine a Gymbuck with the 20% off coupon. **Make sure to use your Gymboree Rewards card, too, if you're signed up. For every $1 you spend, you will get 1 point. Once you accumulate $250, you'll get a $5 rewards certificate (granted not the best deal, but every little bit helps with Gymboree). I had to drop Bailey off at the Vet for some expensive doggie dentistry early this am and stopped off at Walgreens. Becca was out of her caffeine-free Pepsi and Melissa had filled me in on the $10 RR when you buy $20 in Pepsi products deal. Receive $10.00 RR from Pepsi again! 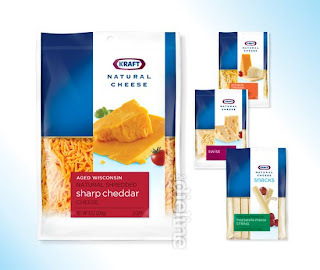 Kraft Cheese Buy 5 for $6.00 ---Receive a $5.00 off your next shopping order coupon! Combine this with Kraft Cheese Coupons for some FREE cheese. Good thing I was under budget on groceries this week...Jim, Becca and I will each pick up the cheese (can freeze cheese) and then roll the $5 rewards and get the hamburger, cereal and potatoes ! The Pepsi will be price matched at Walmart in WI to save bottle deposit fees (we still recycle at curbside). We have been eating from the pantry and freezers since the last week of December. 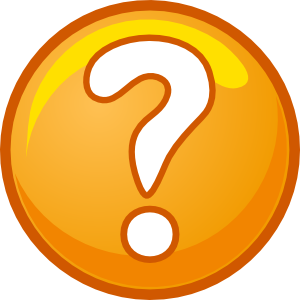 I am limited to $25.00 a week for groceries, but what I am finding as fast as I empty the pantry...I find nearly free items to fill it back up without spending my $25.00! I had limited myself to only being able to buy something we were out of... we were out of sausage for our Saturday and Sunday morning breakfast routine...having Becca means we do everything the same. I found Farmland sausage reg. $2.99 on one day sale for $.99. I had 6--$1.00/2 coupons for them and stocked up...so much for the freezer room I made. I was out of bananas...found bananas for $.29 lb and then bought 4 bunches for eating now and for ripening for banana bread then freezing. The first two weeks I was $10.04 over budget, but I gave up $10 from my Walgreens Saving Challenge to cover the difference and the four cents came from the pennies Becca would have begged out of me for her penny collection. I have been trying to follow the rules, but walking into Dollar General to grab bread...we were out of regular bread for Doc and Detamara and Becca's babysitting charge Serena only to discover on the clearance 50% off rack...Doc's small cans of pringles for $.30 each. His Pringle stash from last year is getting low, but not gone. But the Pringle coupons are not really that good lately and he cannot eat a sandwich without his Pringles...no wonder where Becca gets it. I picked up 7 cans x $.30 = $2.10 plus $1.99 for wheat bread and $1.29 for white bread for a total of $5.38 for this weeks groceries. I saw several good deals, but passed... Yes Yurcek kids, Mom passed on a Fruity Pebble stock-up Gluten-free cereal deal (a rarity to find BOGO and have coupons on top). I was not out of them but down to 2 boxes... But it is still on sale till Tuesday. Maybe we will have to open a box and then make Fruity Pebble Marshmallow Krispie Bars to allow me to buy some before the deal goes off and my coupons expire on the 18th! (My boys when they were home for the holidays were bummed my stock was so low that they didn't grab any to take home with them). Best Deal Magazines is offering as a Today Only (Wednesday) Special Family Circle for $4.29 for a year. I also found Parents Magazine and Family Fun for $4.69. Use Code PXSS117 to save another 10%. Remember to log in to Ebates and get 10% back. I picked up ALL three for $11.62 with getting a kickback of $1.16 from Ebates! Vocalpoint just came out with a new starkist coupon. I am so excited for this coupon as we are going through a lot of tuna these days with Becca's current food obsession...tuna salad sandwiches! I will get all three computers printing on this one. My stockpile of tuna is nearly wiped out. We are having to limit her consumption but what her craving is telling me is that she needs the Omega Fatty Acids in the tuna. We have a small Pamida store in our tiny town. They also have have double coupons monthly. Pamida price matches competitor coupons and combined with a $1.00 or less double coupon sometimes I can get some really good deals. I price match our Piggly Wiggly Store or Walgreens and match up the coupons and then double. With the New Year I needed a way to keep track of what of the deals I want to take advantage of. Thus Anny's Freebie Roundup is my way of keeping track of those deals and samples I found each day. Target-- has travel size Hello Kitty (10 ct.) or Flexible Band-Aids (8 ct.) for $.97 Use the $1/1 coupon from 1/3 to get them FREE! Walmart- has Diego Band-Aids (10 ct) priced at $1.18, use the $1.00/1 coupon to pay $0.18. Not quite FREE but almost. 2 Free after coupons (made sure you add a filler to this to take up the small overage). At the Save-a-lot site there is a great Buy Two 5 oz. 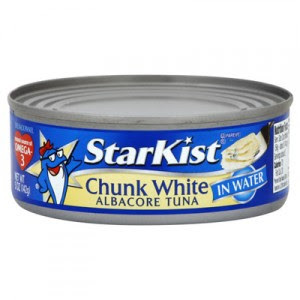 Solid White Tuna Cans and Get One Starkist 5 oz Solid White Tuna Can FREE Coupon. (go to coupons). These are manufacturer coupons and you can print 2 per computer. (up to $1.50 value). Becca's current obsession for eating happens to be Tuna Salad Sandwiches and this tuna coupon will definitely come in handy combined with a sale! Becca's favorite place to go when we head to the city is Build-A-Bear. Morgan her teeny tiny service dog needs more clothes. Use this Coupon and Save $5.00 on any Build A Bear Accessory. Here is Morgan cheering on the Vikings modeling her latest Build-A-Bear design. Morgan will surely get a couple of new frugal frocks on Monday! Today only (Tuesday January 5) download for FREE Start Over, Finish Rich, 10 Steps to Get You Back on Track in 2010. See the link on the top right side of the page. I browsed through the book and I found several things that interest me. This year one our goals is to get control of our finances to work on getting out of debt within 6 years including student loans. Walmart has several Nabisco Crackers for $1.00 right now. Use these $2.00 off 2 Nabisco Cracker Products Coupons (Internet Explorer link)or Here for Firefox and GET 4 FREE boxes with 2 coupons. I have three computers with printers x 2 prints each which will translate into 12 FREE boxes of Crackers. Remember that when you buy 10 to submit for the Nabisco Jingle Rebate through 1-31-10. I was just paying bills and actually read my cellphone bill before paying it to discover my teenage daughter has inadvertantly signed up for unwanted subscriptions... three different subscriptions totaling 10 monthly charges one of them dating back to August. She had put in one of the numbers from something she saw on TV and did not understand because of her disability that it was not really FREE and it would sign her up for a service she did not want on a cell phone she stole from Mom and Dad. $99.90 down the drain because we did not get a paper bill and didn't look close enough at the one line bill. I called the company on the bill to discover they have an elaborate system to discourage talking to anyone. State Attorney Generals Office will soon be getting a phone call! The customer service agent at US Celluar was incredibly helpful and we got them stopped. She told me that if I get a unwanted text from anyone... Text Back, STOP. It should stop them. We also put a block on it, but that means I cannot subscribe to any on phone coupons. But after $99.90 in charges I fore go any retail phone sent coupons. The Newest American Girl Doll has just been released. She will only be available for 2010 and then retired. 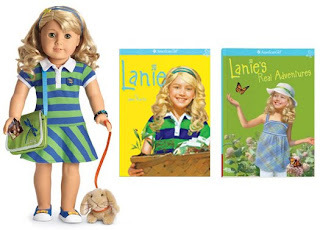 Head on over to American Girls check out the latest doll and accessories! What Am I Up To? My New Project or Should I Say Old Project! What am I up to? I bet you cannot guess!! No Yurcek Kids don't count you already know. I began a new blog today to document my latest project. This project is one of my reasons why I had returned to my frugal roots, I need money to pay for it. For the next 6 months it will be keeping me busy and every spare cent will be put into it. I decided to blog my project as a way to hold myself accountable and to document the progress. But also I can get help from my family on what ideas they have for the project. You will want to get the paper this weekend! With 5 inserts total there are tons of great coupons. Usually I get 2--Chicago Tribune plus one local paper. Tomorrow I will buy a few more as there are so many coupons. 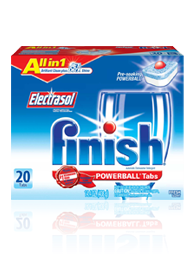 In the paper is another $2.50 Finish Quantum Powerball Tabs or Gelpacs. (My all-time favorite coupon). Walgreens has it on sale beginning Sunday for $3.49 along with a $1 RR back when you buy 1. Thank you to Jane for posting this deal. Last time there were $2.50 coupons I stocked up and kept our 2, my kids, and parents dishwashers in soap for this past year. Now it is time for me to stock up again. I have a couponing friend who doesn't have a dishwasher and I hope she will once again give me her coupons. Next week on Tuesday January 5th, Cloudy with a Chance of Meatballs will be released on DVD. Use this coupon from Chuck E Cheese and get $3.00 off. Pay $12.99 for a Movie for Family Movie Night. Want to win a copy of Cloudy with a Chance of Meatballs by leaving a comment about the best movie deal you found in 2009. I had received a Nabisco Coupon booklet this past fall and found many types of Nabisco Crackers in the new $1 aisle at our local Walmart. Paid $10.00 for 20 boxes of Crackers. Thank you to reader Cassie for reminding me about this rebate and helping me get 20 boxes of crackers for FREE! One of my resolutions learned from my first year of returning to my frugal roots: Keep up my coupon binders. I will admit this fall I did not keep up. Between Marissa's wedding and getting used to homeschooling two high school girls instead of one, doing our homestudy for adoption and building projects, my coupons were neglected. I implimented my double coupon binder system last spring when I could no longer fit my coupons in the plastic organizers. As a result I spent money on things I knew I had coupons for back home, and when I have to travel to the city to shop it was not worth waiting and going to get the coupon. If I get behind, I end up with piles of coupons waiting to be filed away and it takes way too long to get back on track. Keeping up my binders saves money. Getting behind costs precious time. Do it right away, and make the time and system work or be drowning in coupons. I know where the coupons I know I have are and can find them easily. I have to program the time into my schedule to do it right away. Sunday afternoon clipping, and on the first of the month purge. Printable coupons have a basket by the computer and will be filed on Sunday. On Friday night movie night I will cut out the printable coupons while hanging with my girls. I spent a little over and hour purging expired coupons and my binders are looking really empty. I keep two binders, one for food items, the other household items to keep it simple. I use a sturdy carry-case that I got for FREE which holds even two stuffed binders which go everywhere. Where do I start? Mom of Many...11 to be exact. Edit, now 12 with our latest addition. 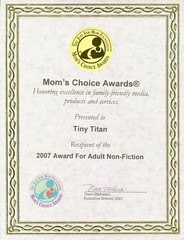 Award Winning Author of "Tiny Titan, Journey of Hope" and special needs advocate and longtime frugal Mom. Numerous Newspaper and Magazine Articles, Radio Interviews and Press Features profiled our journey over the years. In 1989 our youngest daughter Becca was born with a rare genetic disorder, (Noonan Syndrome) and while she struggled to survive, our family tumbled into poverty. With Six children we had to live below the poverty line to qualify for help to cover her million dollars in medical bills. 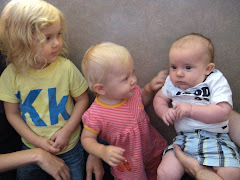 In the spirit of giving back we went on to adopt five siblings separated in foster care. Leaving our home of twenty years, two families who both knew adversity moved onto the Hope of a new life 600 miles away to begin the Journey through Residency and becoming a New Family. Along the way we soon discovered that our newest children would be diagnosed with Fetal Alcohol Spectrum Disorders and challenges from their histories of abuse and neglect. My strength would be tested, my bargain hunting skills honed to feed our family of thirteen on residency pay and prayer. Our Tiny Titan showed us the gift of today and to never, ever give up. 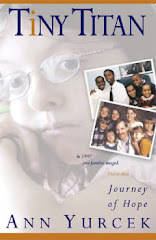 Our family CHOSE to not become a statistic of families facing catastrophic illness. 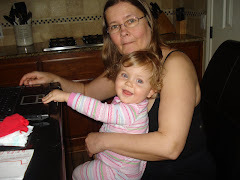 We learned to live frugally, stretch a dollar, and find happiness with being together. Instead of feeling hopeless, we found strength in turning the negatives into the positives, by playing the game of living on less. My children are now all nearly grown, our family no longer financially struggles, but our pennypinching and frugal ways are not forgotten. My husband is now a surgeon, my children make me proud as they have now embraced the lessons they have learned along our journey. With my book now published, the kids nearly grown, I have a new opportunity... to share our survival strategies, creativity and my latest deals.